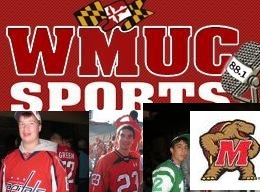 Matt Castello and I lead off the show discussing the eight athletic teams cut by the University of Maryland before talking about the Week 11 in the NFL and baseball’s new realignment and postseason ventures. The due also debate whether Justin Verlander should have won the American League MVP Award and if Curt Schilling is a Hall of Famer in addition to ranking the top five starters of the last 20 years. You can download the Monday Night Madness podcast on iTunes or download the show by clicking here! Though just 28 years old, Justin Verlander has had plenty of ups and downs in his career. 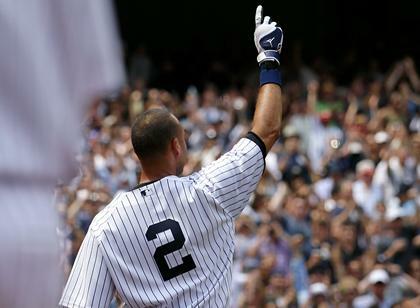 He has tossed two no-hitters in his career, more than Bob Gibson, Pedro Martinez and Greg Maddux combined. 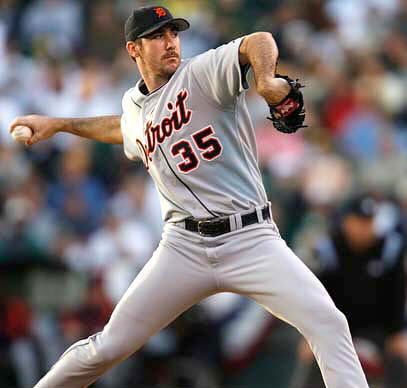 Verlander led the majors in innings pitched (240) and strikeouts (269) in 2009 and tied for the league in wins with 19, but that was coming off a season in which he finished with 17 defeats, the most losses of any American League pitcher. 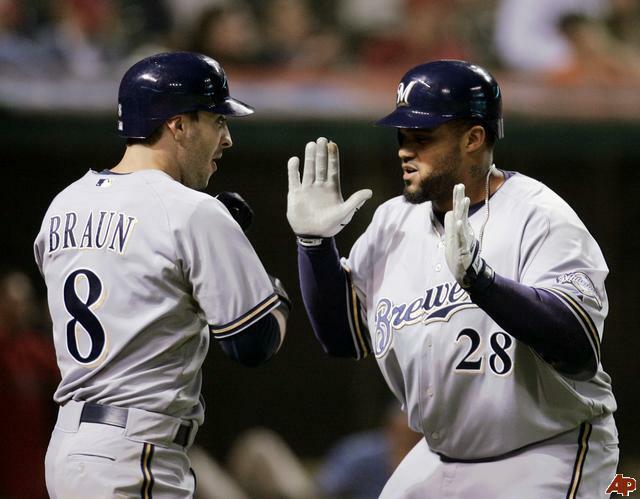 In 2007, he had a .750 winning percentage, the best in the AL, but also hit 19 batters and threw 17 wild pitches, both of which were the worst in the majors. Everything has come together for him in 2011. 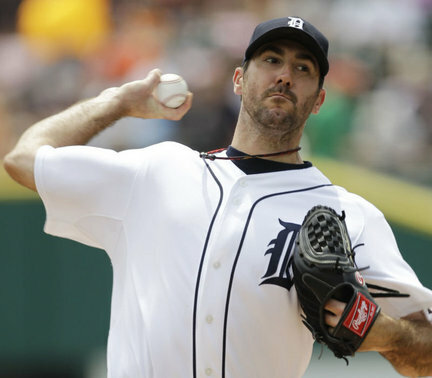 Instead of leading the league in losses, wild pitches and hit batsmen like he has in years past, Verlander’s 2011 season has him leading the majors in both wins (24), innings pitched (244), batting average against (.190), hits allowed per nine innings (6.1), WHIP (0.910) and strikeouts (244). If that wasn’t enough, he is also leading the American League with a 2.29 ERA, a 178 Adjusted ERA-Plus and .828 winning percentage. Just about the only categories Verlander doesn’t lead the league in are walks issued per nine innings, in which he is eighth in the AL with 2.07, and strikeout-to-walk ratio, where he is third with a 4.36 mark. Another way of looking at his success is by going through each of his starts. 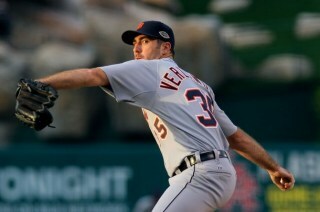 Verlander has gone at least six innings and thrown no fewer than 104 pitches in each of his 33 starts. He has allowed four runs or more in an outing just four times all season. Verlander has also had a number of purely dominant stretches this year. During one nine-start stint from May 29 through July 10, he went 8-1 with a 0.75 ERA and .182 batting average against in 72 innings while allowing 46 hits, walking 10 and striking out 74 batters. During that stretch, Verlander’s shortest outing was seven innings pitched. Only one pitcher has had that dominant of a stint this season. Cliff Lee’s current nine-start stretch since August 4, in which he is 6-1 with a 0.75 ERA and .198 BAA in 71.2 innings pitched while allowing 50 hits, walking 10 and striking out 74 hitters, is a run strikingly similar to that of Verlander’s in midseason. The next stop for Justin Verlander is the postseason as the Detroit Tigers have clinched the AL Central division. 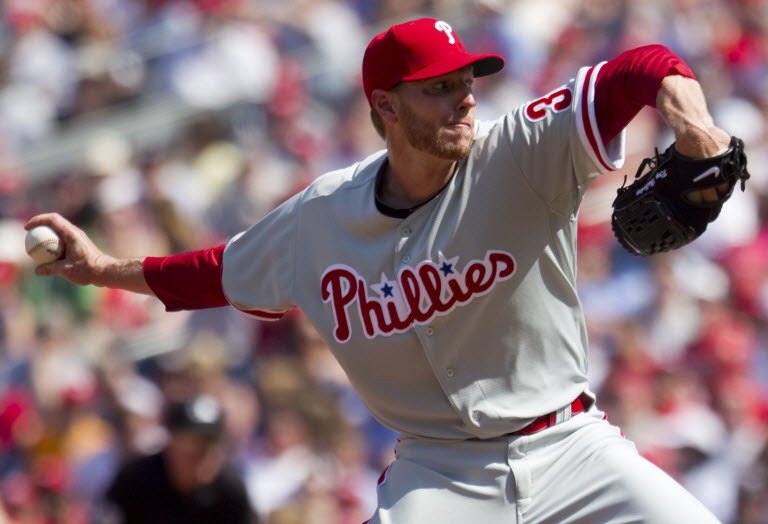 During the 2006 playoffs, he made four starts, going 1-2 with a 5.82 ERA and 1.662 WHIP in 21.2 innings while allowing 26 hits, walking 10 and striking out 23. 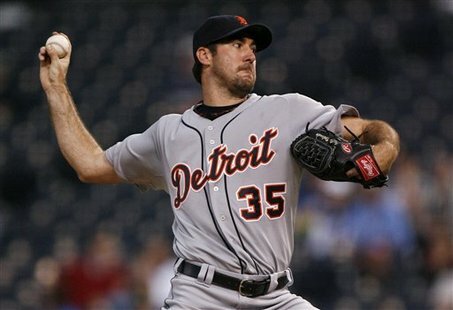 The Tigers were able to reach the World Series that year, but Verlander struggled mightily. 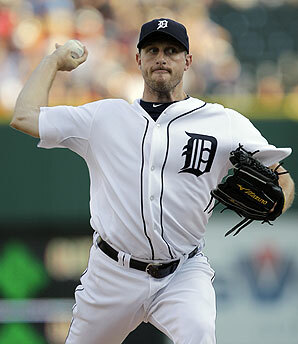 His success in 2011 has given the Tigers hope of another World Series appearance. As the ace of Detroit’s staff, Verlander will make, if needed, at least two starts per series should the Tigers continue to advance. If the past is any indication, Verlander will learn from his playoff failures and turn them around into virtually unhittable outings this October. As expected, the Boston Red Sox, New York Yankees and Philadelphia Phillies have proved to be the three strongest teams in baseball this year. However, the Cleveland Indians, Pittsburgh Pirates, Arizona Diamondbacks and Tampa Bay Rays continue to shock (most of) the world by being in contention for a playoff spot. The Rays are currently the furthest out of a playoff spot, just five games behind the Yankees in the American League Wild Card race and six games behind the Red Sox in the AL East. The Diamondbacks are just three games behind the San Francisco Giants in the National League West while the Pirates are just one game behind the St. Louis Cardinals and Milwaukee Brewers in the NL Central. The Indians currently stand 0.5 games behind the Detroit Tigers in the AL Central. There were two managers who had to be replaced already this year, yet neither was fired. Florida Marlins manager Edwin Rodriguez resigned after a horrific 1-18 start to the month of June (the Marlins finished the month 5-23). The Marlins began the month just two games behind the Phillies in the NL East but ended it 14.5 games back. Florida replaced Rodriguez with 80-year old Jack McKeon. 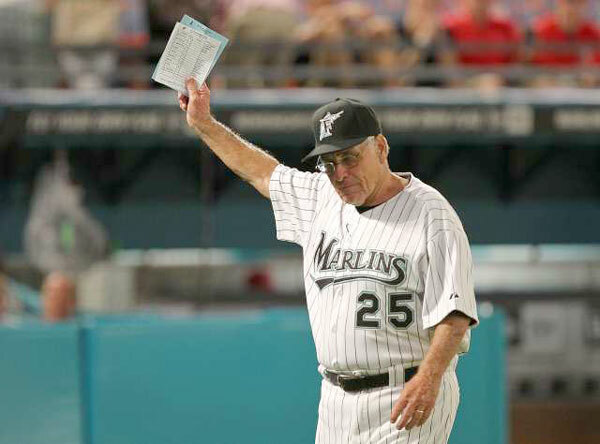 McKeon led the 2003 Marlins to a World Series Championship, also taking over the helm in Miami at midseason during that year. Connie Mack managed the Philadelphia Athletics from 1940 through 1950 until the age of 87, making McKeon the second-oldest manager in baseball history. Florida was 32-39 under Rodriguez and are 11-8 with McKeon as manager. The Washington Nationals also had to make a midseason managerial move. 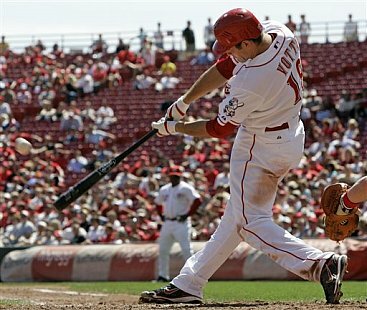 Washington was in the midst of an 11-1 run, putting them over .500 for the first time since the team moved to D.C. in 2005 when Jim Riggleman quit on June 23 due to a contract dispute with Nationals’ management over his option for next year. The Nationals tabbed Davey Johnson as his replacement. Washington is 6-8 under Johnson, but was 38-37 with Riggleman guiding the team. There have also been some notable achievements by players through the first part of the year. 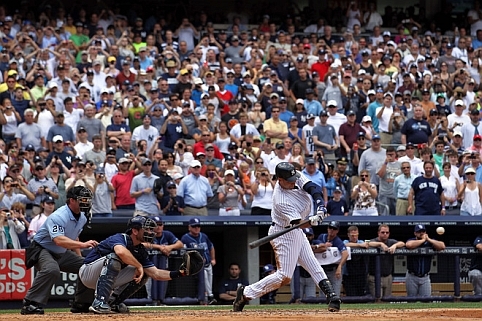 Derek Jeter reached 3,000 hits with a home run at exactly two o’clock at Yankee Stadium to become the first Yankee to achieve that milestone. Francisco Liriano and Justin Verlander each threw no-hitters within four days of each other, on May 3 and 7, respectively. Liriano walked six hitters and struck out two. Verlander struck out four and walked just one hitter in the seventh inning, beginning a streak of pitching at least eight innings in eight of his next 10 starts. Andre Eithier strung together a 30-game hitting streak that began on the second day of the season. The streak is the second-longest in Los Angeles Dodgers’ history and is the longest in the majors since the Nationals’ Ryan Zimmerman’s 30-game streak in 2009. 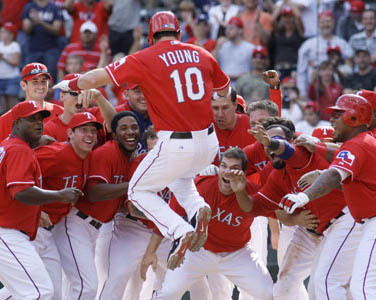 We are officially at, or just past (depending on the team), the midway point in the Major League Baseball season. In the sport with the fewest playoff spots, there are so many teams competing for the right to play in October. The lack of playoff spots is one of the many things that makes this sport so special. Just eight of the 30 MLB teams will make the postseason, compared to the 16 playoff teams in both the NBA and NHL and the 12 NFL teams that vie for the right to hoist the Lombardi Trophy. Having such few teams make the playoffs creates a strong emphasis on succeeding in the regular season, and as long as baseball’s regular season is, we have the potential to see some very compelling races in August and September. Twenty teams either lead a division or are within seven games of a playoff spot. There is no division separated by more than a four game lead. A number of surprise teams remain in the mix for a playoff spot. 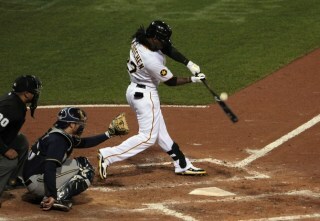 Behind Andrew McCutchen, the Pittsburgh Pirates sit at 41-39, just two games behind the Milwaukee Brewers and St. Louis Cardinals in the National League Central. The Arizona Diamondbacks are two games behind the San Francisco Giants in the NL West and three games behind the Atlanta Braves in the NL Wild Card race with a record of 44-38. The New York Mets and Washington Nationals are 5.5 and 6.5 games behind Atlanta in the Wild Card race, respectively. In the American League, few thought that the Cleveland Indians would spend 80 days during the first half of the year leading the Central. The Indians have stumbled slightly, but are 0.5 games behind the Detroit Tigers right now. 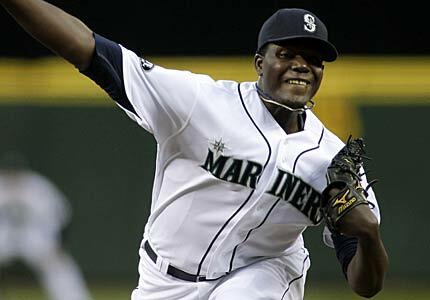 Rookie sensation Michael Pineda has helped the Seattle Mariners come within 3.5 games of the defending AL Champion Texas Rangers in the West, even though the Mariners have been outscored by 13 runs this season and have a record below .500, at 39-42. After losing Carlos Pena, Carl Crawford, Jason Bartlett, Matt Garza, Rafael Soriano and their entire 2010 bullpen to free agency and various trades, the Tampa Bay Rays sit just four games behind the New York Yankees in the East and 1.5 games behind the Boston Red Sox for the AL Wild Card. The Rays are 45-36 despite having star third baseman Evan Longoria play in only 53 games during the first half of the season. The first half of the Major League Baseball season featured many storylines, but none may be more compelling than the playoff races that will determine the fate of the 20 teams who have their eyes on the postseason. There will be teams who falter down the stretch during the second half of the season. However, with so many teams fighting year in and year out for one of the precious few trips to the postseason, baseball’s emphasis on a strong regular season is unrivaled by any sport. With 20 teams in competition for just eight playoff spots, the next three months of the season will feature postseason races that come down to the wire and show just why baseball is so special. Scott Kornberg and Ryan Baumohl discuss baseball’s divisional races and league awards at the season’s midpoint, as well as possible trades in today’s podcast: Listen Here! 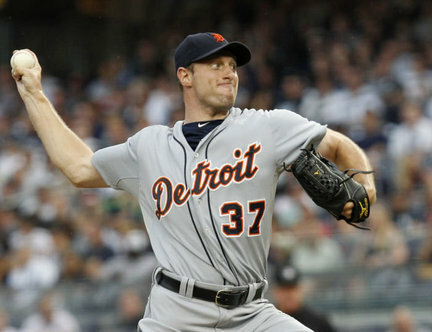 26-year old right-hander Max Scherzer will take the mound tonight at PNC Park in Pittsburgh. 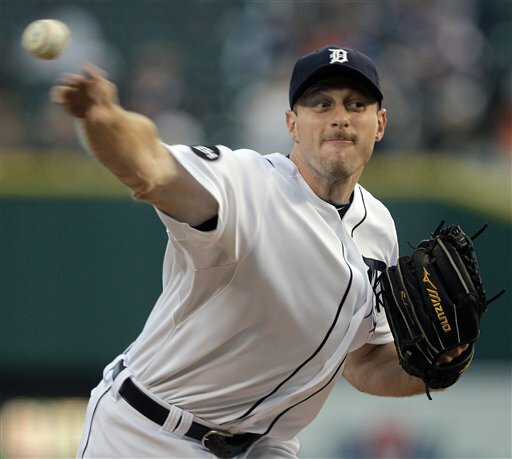 Scherzer is bidding to become the first Tigers pitcher since Vern Kennedy in 1938 to have a 7-0 record before June. Records may sometimes be misleading, but in seven of his nine starts, Scherzer has allowed two runs or less. He has a better strikeout ratio (8.3 K/9) than Josh Beckett, Dan Haren, CC Sabathia David Price and Chris Carpenter. Scherzer has still yet to allow an extra-base to a cleanup hitter all year. Scherzer possesses an incredible trio of pitches. His fastball sits in the mid-90s, but Scherzer keeps hitters off-balance with a disappearing changeup and back-breaking slider. While his stuff can be the equivalent of fellow teammate Verlander, Scherzer did not always know how to use it. Scherzer was so bad in his first 8 starts last year (1-4, 7.29 ERA, .323 BAA, 54 hits allowed in 42 innings) that Detroit sent him down to Triple-A. Two dominating starts later, Scherzer was back in the big leagues but as a totally different pitcher. In 23 starts that spanned until the end of the season, Scherzer went 11-7 with a 2.46 ERA. 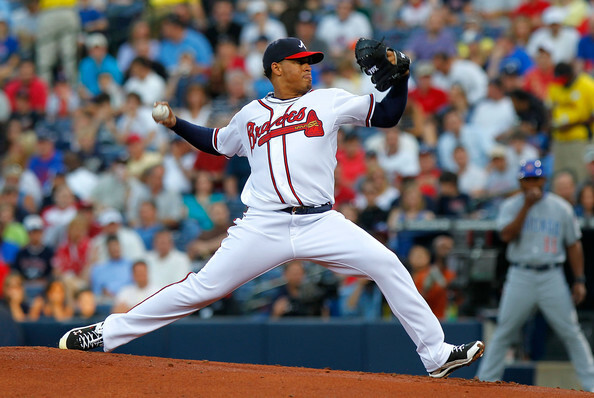 In 153.2 innings, he allowed only 120 hits and struck out 158 hitters. Opponents would hit just .220 against him during that span. In those final 23 starts of last year, Scherzer became a pitcher, not a thrower. He relied on his fastball much less and used his devastating off-speed pitches much more often. According to Fangraphs, Scherzer threw his fastball 65% of the time in 2010 compared to 71% in 2009 with Arizona. 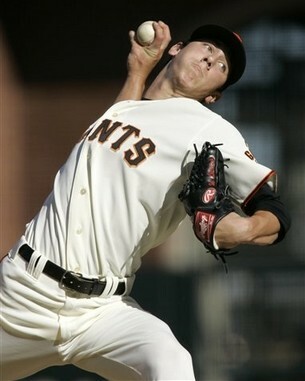 His changeup rate rose from 16.7% to 19.8% and he threw his slider 15.2% of the time in 2010 compared to 12.4% in 2009. Scherzer has continued to throw his fastball less in his dominant 2011 season, using his fastball 62.8% of the time and increasing his slider usage rate to 18.5%. It seems as if those two starts in Triple-A were a wake up call to Scherzer. He was always a talented pitcher, but never seemed to know how to best use his pitches until he returned to Detroit in late May last year. His development has possibly given the Tigers baseball’s best 1-2 punch at the top of the rotation. Power pitching dominates in the playoffs, and with the maturation of Scherzer, the Tigers rotation is one that no opposing team would want to see come October.